This is our M600 Tubing Bender with our Mandrel Attachment. 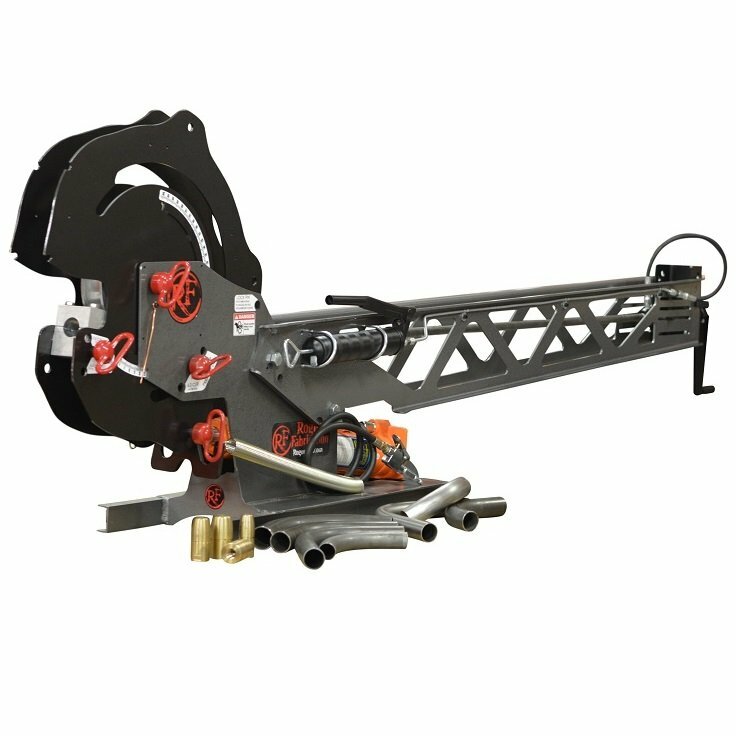 With the wide range of options for our model 600, you may be better off buying the bender and the mandrel attachment separately, which would allow you more options, like our xHD capacity machine, or a tradesman set (for example). 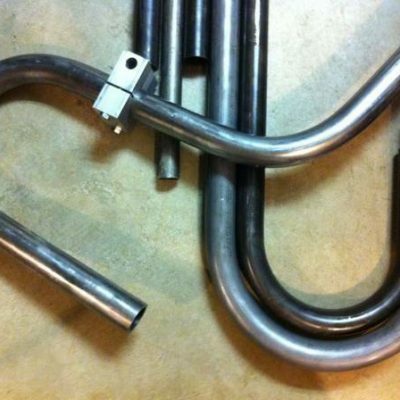 We made this listing to illustrate an example total cost for the M600 as a mandrel bender. You could also save some money by getting the hydraulic cylinder local to you at Harbor Freight or by getting a weld together bender kit from us. Those 2 options would save you close to $400. Note – The pump shown in the photos was a protptype, we now have transparent-reservoir Made-in-USA pumps installed with CNC machined billet aluminum and cast components. They are top of the line and don’t leak past the piston with bending lube like standard pumps do! In this product listing, you are buying our HD capacity model 600 Tubing bender. You are getting it welded and painted from us, exactly like the one in the picture. You area also getting the air/hydraulic cylinder, one die, the mandrel attachment (welded and painted like the picture), and one mandrel. 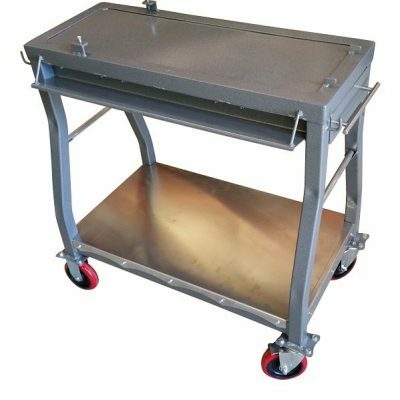 It is the same as the machine in the photo (shop cart, bent tubing, and additional mandrels not included). The M600 was designed specifically for use with mandrels from the very beginning. This machine features CNC Laser cut and formed A36 steel frame components for an accuracy and rigidity. The oversized 1″ ACME drive screw extracts the mandrel with absolute ease. This mandrel attachment includes our premium thru-mandrel lubrication injection system, affording you longer mandrel life and even higher bending performance. This system is adjustable (up and down) to accommodate 2.5 CLR, 3.5 CLR, 4.5 CLR, and 6.0 CLR dies (this package includes one die). 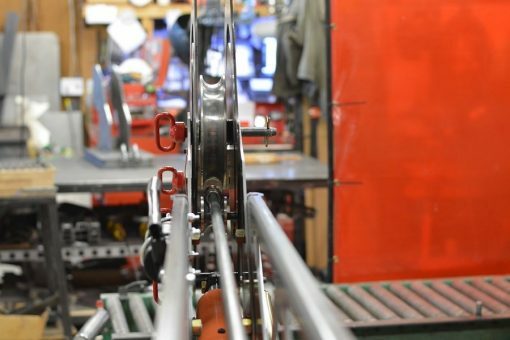 The mandrel position is adjustable front to back to precision tune your bend, just like on large $100K plus mandrel benders. 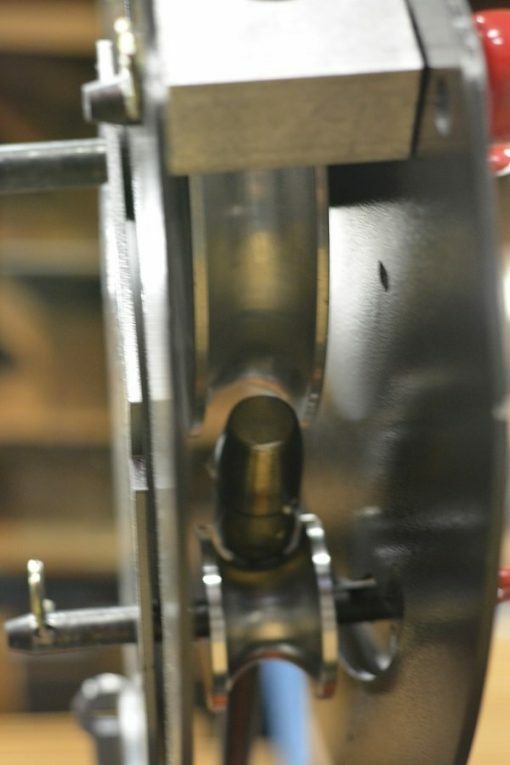 Mandrel position can be saved with an acme locknut for effortless repeat positioning. This attachment is meant to be used with our high nickel bronze alloy mandrels, which are a high strength industrial mandrel featuring good surface lubricity (again, just like $100K+ industrial machines). 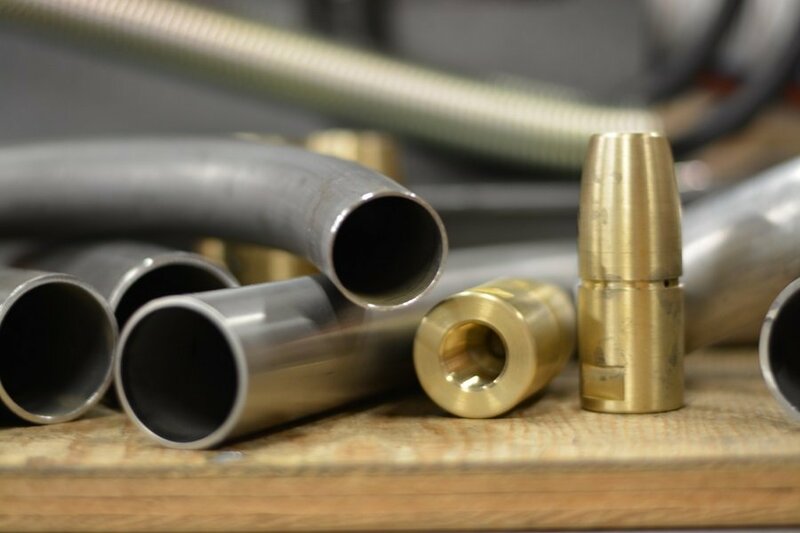 This allows you to bend thin walled titanium, stainless exhaust components, header elbows, turbo manifold tubes, and more with ease. We keep accurate records of all of our testing and what position the mandrel is in so you can leverage our experience and expertise into your own success and profit. The RogueFab Model 600 the most affordable mandrel bender in the world that can bend over 1 inch OD steel tubing. And it’s all made right here in the USA, from the mandrels to the frame components and machined parts to the ACME screw. Only limited hardware components and the air/hydraulic cylinder are imported. The max diameter is 2 inches. Click the “more information” tab above this section for videos that explain how to use this tool and show it working! We have very limited numbers of these available for the first production run. BACKORDERS will occur, and customers will be notified within 24 hours of their purchase if there is a back order. This may work with the TWA (thin wall attachment), but we don’t recommend it. It isn’t necessary. This machine works with the Backstop assembly, but you must remove tha mandrel for that to work, as they (they backstop and mandrel attachment) attach in the same place. This works on our carts. This works with electric/hydraulic power system. You may have to put a slight bend in your handle for comfort. We sell spare handles too. 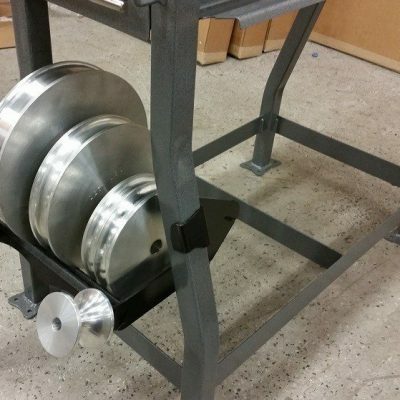 This works with our pedestal mount on our cart with a Versanotcher, but ONLY when you have our offset bracket installed (see VersaNotcher listings in our store for the offset bracket).